Before we start, I want to remind everyone that these web pages are generally about passenger car tires. When I discuss something that doesn't apply to passenger car tires, hopefully it will be obvious. A tire's speed capability is sometimes lower than the speed rating indicates. It is safer to use a tire with a higher speed rating than the speed you are intending to drive - and more is better! The higher than speed rating, the safer the tire is. That I recommend a minimum of an H speed rated tire. Speed ratings are a 1960's European invention in response to the increasing range of vehicle top speeds. At first there were 3 speed ratings: S, H and V, and later "Z". Somewhere in the mid 1980's they decided to expand the chart. It did not go unnoticed that the original speed ratings were in alphabetical order except for "H" - so they filled in the chart in an alphabetic fashion, leaving the "error" in place - and that is what we have today. The air chamber is "capped" (meaning the pressure is allowed to build up). The tire is started at 40 kph below the speed rating being tested. The tire runs 10 minutes and then the speed is increased 10 kph and another 10 minutes. And so on until the target speed is reached! The tire is unloaded and dismounted and examined for any failures. if none, then the tire passes. To be fair, there is a more difficult test (SAE) that also is used, but in essence the tire only has to withstand 100°F for 1 hour at the target speed. What you should draw from this: These are fairly ideal conditions. The room temperature is pleasant for humans to work in, but there are portions of the world (and the US in particular) where the temperatures are much higher - and heat is the tire killer. Even the SAE version is lower in temperature than some parts of the US. The test surface is smooth. Most roads have some degree of bumps in them and these bumps would not only add more stress to the tire, but would also add more heat input. Tires are not normally used at their rated load - usually something less. I'm talking about the vehicle placard load conditions here. If you overload a pickup truck, then this would not be true, but passenger cars are a little more difficult to overload. It takes about an hour and a half for the internal operating temperature of a tire to stabilize. That means that in that 10 minutes, this is more a test of the tire's ability to withstand centrifugal forces and not a test of the tire's ability to endure the maximum internal tire temperature. Even an hour isn't enough. Normally new tires are tested. By that I mean tires that have been recently produced, not tires that are 7 or 8 years old. There are tests that are based on the speed rating test where, after the tire passes the speed rating, the speed is increased in a stepwise fashion until the tire fails. These tests are commonly known as a "Step Speed" (SS) or "Step Up Speed" (SUS) test. It is common for tire manufacturers to require their products to exceed the speed rating test by some margin (to insure that ALL tires will!) and they will use some version of the these tests and some acceptance criteria - which will vary according the individual tire manufacturers specifications. "Test Failure" generally means the first sign the tire is coming apart (normally by separating between components.) There are quite a few techniques to determine this is happening, but however this is determined, the tire never reaches the point of catastrophic failure. At worst, a small chunk of the tire will come off. In speed rating tests, failures are almost always belt area separations - and in particular "belt leaving belt" separations. In other words, tire construction, not tread compound, seems to be the limiting factor. The standing wave is usually cited in trying to describe the failure mechanism. To the right is a photo of a standing wave in a tire. Standing waves are the result of an individual tread segment entering the footprint and being deflected, and as that segment leaves the footprint, it overshoots the original position, then rebounds back and forth until the natural damping of rubber reduces the motion to almost zero. The amount the tread overshoots the starting point is small at low speeds, but as the speed increases, the standing wave grows not only in magnitude, but also how far around the tire it goes. For practical purposes, "S" is the lowest speed rating for regular passenger car tires. Winter tires are sometimes "Q" and "R" speed rated as are some light truck tires. 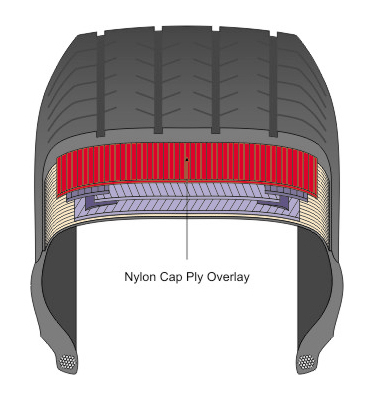 To get a tire to pass an H speed rating almost requires the tire to have an overlay - commonly called a "cap ply" and nylon is a commonly used material. This overlay restricts the growth of the tire due to centrifugal forces as well as the movement caused by the standing wave. Not only does this result in reduced stresses in the tire, it also reduces heat generation. Adding further overlay layers results in higher speed capability. 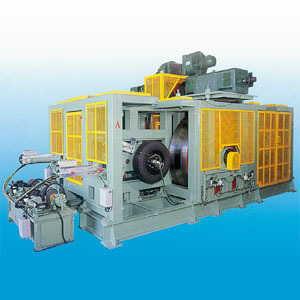 That is, you achieve higher speed capability with just changes in construction. Rubber compound changes are almost incidental. Are there situations where the actual speed a tire is capable of withstanding different than the test would indicate? This makes sense against the backdrop that rubber degrades over time. 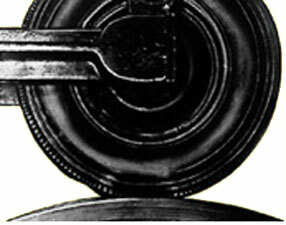 Even a really old tire has trouble just holding air pressure without coming apart. This was not an exhaustive study. It was only done to illustrate a point. I think further work needs to be done in this area. What about the speed capability of tires that are inflated to a lower pressure, but properly loaded for that pressure? John Baldwin (again) also tested this and found a 2 step drop there as well. This was also not an exhaustive study and more work is needed. Ref: J. M. Baldwin, "High Speed Testing Of Tires and the Use of Constant Deflection," presented at a meeting of the Tire Society, Akron, OH, September 23-24, 2003. Hopefully by now you will realize that the speed capability of a tire could be quite less than the speed rating. If you add up what is known, you could be looking at a 6 step drop - and those are just the issues that are known! One of the lessons from the Ford / Firestone situation some years back, was that vehicle manufacturers ought to specify tires that are MORE than just the minimum - and in fact, some ways above the minimum. If you take over-specifying to heart, then how much over the minimum does the tire need to be? Good question!! And one where the answer is going to be difficult to obtain. The best way to obtain such an answer is to monitor the tire failures and see what the failure modes are and adjust as the information comes in. We are talking years of study of the return patterns. Of course, the alternative is to grossly over-design the tires - and that means overly costly tires. Given that the marketplace on tires is highly competitive, any over-design is going to be modest. Nevertheless, tire manufacturers are a cautious lot (they have a lot to lose! ), so they tend to moderately overdesign everywhere and monitor their returns for indications of areas of deficiency. This results in a slow, but deliberate, improvement process with a few hiccups along the way. If you look at speed rating chart to the left, you'll notice that there is a "U" speed rating between T and H. Have you ever heard of a "U" speed rated tire? Well, you haven't and the reason goes back to the overlay (cap ply) mentioned above. It is difficult to pass a "U" speed rating unless you use a cap ply - and if you are going to do that, why not make the tire an "H"? To further complicate matters: Almost all tire failures occur in S and T rated tires. Hardly any occur in H and higher speed rated tires. I recommend that everyone use a minimum of an "H" speed rating.